Joe Robson has carved out his 'USP' as a copywriter and author of several well read books and websites. He and many other Internet heavy weights have ascribed to the reality that you need a Unique Selling Proposition or Personal Value Proposition. What sets you apart as a realtor from your competitors? What do you offer that is so different from the real estate agent around the corner? What's your real estate Unique Personal Value Proposition? I've written about this subject on more than one occasion, and I'm writing about it yet again. Why? Because in my discussions with clients I have found that the most misunderstood concept in Copywriting is the Unique Selling Proposition. USP for short. Your unique selling proposition is without any doubt whatsoever, the most valuable business asset you will ever possess! And once you discover it, your business will improve dramatically. I've lost count of the number of people who tell me they don't know how to find their USP. And there are even more people who THINK they know what it is, yet have it all wrong. Your USP is something which your customers' PERCEIVE to be unique and which will benefit them! The uniqueness is totally dependent on your customers' PERCEPTION of your product's 'difference'. For instance .... Let's assume you have the only mousetrap in the world that scares mice to death by showing a hologram of Sylvester the cat. If your reader is an Eskimo who has never seen or read anything about mousetraps .... so what? It ain't unique! So your mousetrap's uniqueness isn't a USP in THE EYES OF THE ESKIMO. Ok, Ok, you may think that's a simplistic and rather silly example. But if your mousetrap was repackaged as a unique Polar Bear frightener ... boy that's a USP in THE EYES OF YOUR ESKIMO! Not many products are totally unique. Yet there are still companies who manage to present an *apparent* uniqueness to their potential customers. They think outside of the box. And many savvy Copywriters have found ways to present a perfectly mundane feature as a PERCEIVED major benefit. On UK TV at the time of writing, is an ad for a national chain of 'overnight stop-overs'. Motels. "Our Motels are much less expensive than a Hotel yet ..."
"Just everything you need for a good night's sleep. XYZ Travel Inns." Now in the eyes of the 'targeted' audience, THAT'S a USP! Joe Robson was the author of Make Your Words SELL! co-authored by Ken Evoy. Joe and Tom Glander were Co-Founders of The Newbie Club which is bulging with revolutionary Internet and PC Newbie tutorials. CLICK ON OVER to The Newbie Club. It's recognized as the best Internet and PC Newbie tutorials site on the Web. Find your USP and then, make your knowledge sell! Every idea that's a proven part of the foundation for high achievement can be found in one comprehensive 12-volume library. Designed for those who are serious about success and achievement, this program is a gold mine of strategies, tools and ideas for accomplishing goals and dreams. 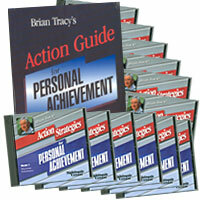 No matter what you want to do in life, this program is guaranteed to help you achieve it. A Real Estate Agent's Mind Shift from ... Location, Location, Location to ... Information, Information, Information. Join the "Top 2%" on the Net. PREsell with information-packed content, then sell with benefit-focused call to action, smoothly converting your visitors into customers. This "1-2" power strategy is the core to building traffic and earning income on the Net.